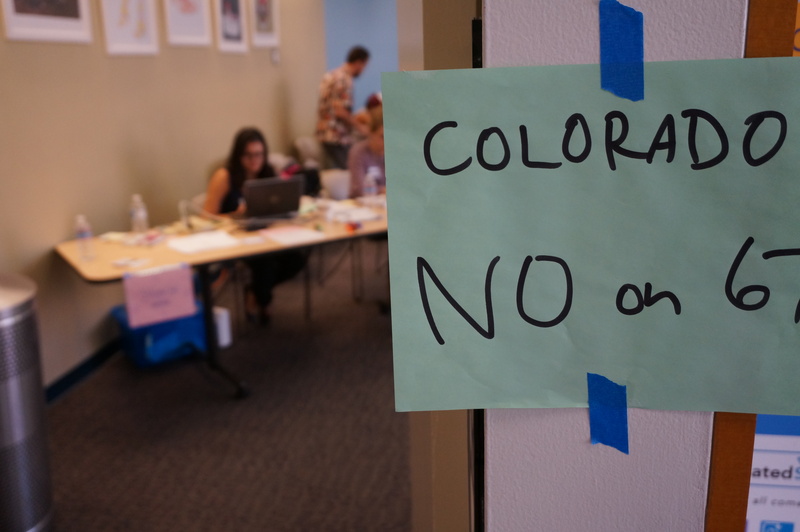 For E-day 2014 the LAB teamed up with the No on 67 Campaign in Colorado to change hearts and minds, get out the vote, and help defeat the insidious Amendment 67. Over the course of the campaign, 165 Leadership LAB volunteers rallied to the phones to talk to 1,870 Colorado voters about why safe and legal access to abortion, without judgment, is crucially important. Major congratulations to the No on 67 campaign on a hard-won victory! But as the simultaneous passage of Amendment 1 in Tennessee puts forth a new challenge in the fight for women’s rights, we at the LAB are determined to continue to learn. We’re eager to keep testing the tools we’ve been developing, we’re aiming to shift voters’ deep seated feelings about abortion, and we’re excited to help fight the fight in the field wherever we can. Thank you to everyone who lent their amazing talents here in Los Angeles – we can’t wait to dive into the next challenge at your side!